As an experienced game lover, I used to have the same problem as you do and I tried a lot of solutions in the past. Now I am confident to share with you a one-stop solution to convert YouTube videos to PSP format. Talking about PSP, I assume all of you are quite familiar with it. It is a handheld game console developed by Sony and becomes the most powerful and popular portable system. It is the only handheld console to use an optical disc format, Universal Media Disc (UMD), as its primary storage medium. Though PSP is compatible with a lot of formats, it is difficult to stream YouTube videos online with PSP. In this case, converting YouTube to PSP is demanded. Leawo Video Converter is highly recommended for you here. This program is developed to convert files of more than 180 formats from one to another, including almost all popular formats. With this program, users are able to edit the file before conversion such as cut the file to the desired length, remove annoying noise in the file if any, convert files to 3D effects from 2D sources for more vivid output effects, and specify aspect ratio and so on. Now follow below tutorial guide to convert YouTube to PSP with this professional video converter. Step 1: Install Leawo Video Converter. Download and install the program through the download buttons below. This will take a few minutes to complete the installation. Step 2: Input the source file to the program. To import the source file to the program, directly drag it to the window area or click “Add Video” or “Add Video Folder” from the toolbar. Once the file has been successfully imported, you will see them on the window area. Click “Change” under the format dropdown menu to navigate to the “Profile” panel, which accommodates various kinds of formats. Step 4: Locate the target output format. On the left quick search box, enter PSP to locate the target output format quickly. Or you can select it from the right panel one by one. Next, return to the “Convert” page. Step 5: Edit the file. Before conversion, edit the file for getting better results. Click Edit under the format dropdown menu to enter the Profile Settings panel to specify parameters such as codec, bit rate, aspect ratio etc for the target output file. Or click the editing icon on the right side of the video to customize the file length, effect, and so on before conversion. Step 6: Start converting YouTube to PSP. Here you could click the big green button “Convert” to pop up a window for specifying a directory to save the output file. After that, click the round button “Convert” below to start converting YouTube to PSP. Now you can stream YouTube videos on your PSP smoothly. Once finished, you can successfully play YouTube video on your PSP without limit. Knowing how to convert YouTube to PSP is not enough if you don’t know how to download YouTube efficiently to your computer firstly. Though some YouTube to PSP online converters are able to download and convert YouTube videos, it is extremely time consuming and has high requirements on your network speed. The program-Leawo Video Converter that I recommend to you above incorporates a built-in downloader to faciliate users to download videos from a variety of webistes, like YouTube, Dailymotion, Hulu, Vimeo, just to name a few. 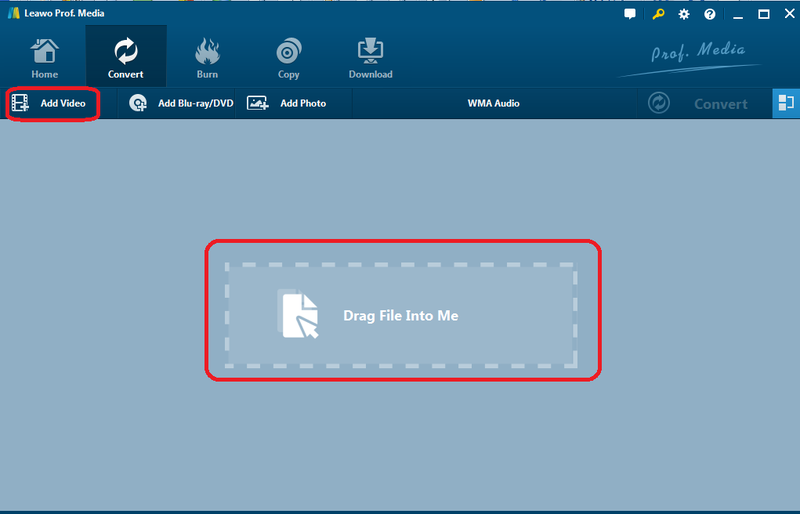 The built-in video downloader works really fast and is able to direct to the “Convert” page effortlessly after a video is successfully downloaded. Here we can have a look at how to downlaod a video from YouTube with the built-in YouTube downloader. Note:The below download buttons can help you to download Leawo Video Downloader directly. Step 1: Copy URL on the address box. 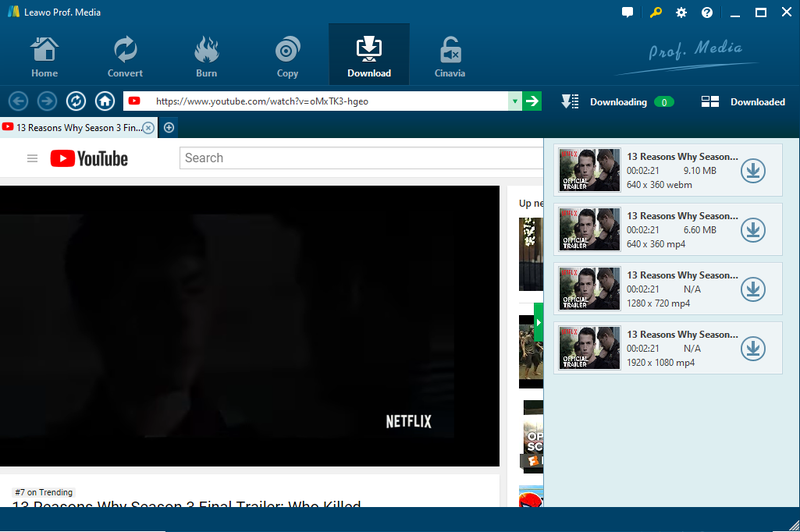 Launch the program, direct to the “Download” page, and copy a URL to locate your desired video from YouTube. Step 2: Download YouTube videos to your computer. After locating the target video, click the inverted triangle icon to start downloading YouTube video to your computer. You are able to supervise the progress of the downloading from the green progress bar and to prioritise the downloading sequence if you download a batch files together. 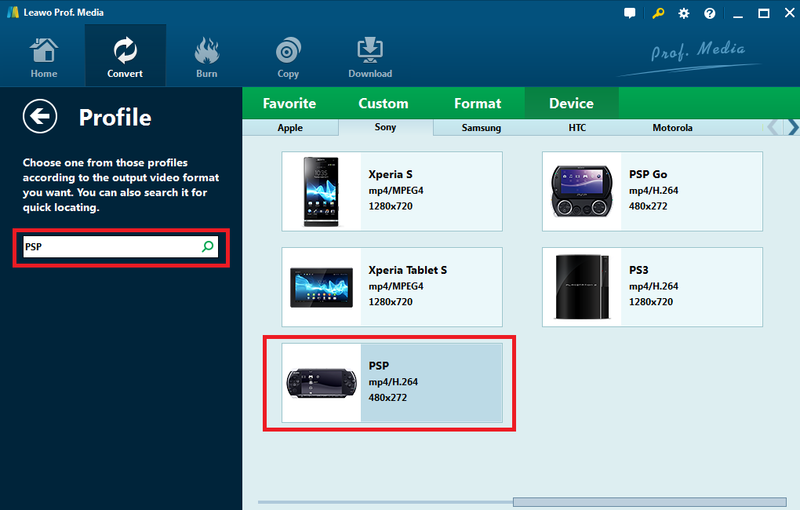 After a video is successfully downloaded, you can find it from the “Downloaded” tab, which can be used to convert to PSP within the same program. Now you see if you get a powerful program, converting YouTube videos to PSP can be a piece of cake. Leawo Video Converter is such a program, which to make it better, has a built-in downloader to download videos freely and efforlessly from all kinds of video-sharing websites. More importantly, the video quality is retained 100% as original files without suffering any quality loss. To sum up, Leawo Video Converter provides a powerful one-stop solution for users to download and convert files. That’s why I am confident you will need it if you want to convert YouTube to PSP.